The 24-hour bandh called in the three hill districts of Karbi Anglong, West Karbi Anglong and Dima Hasao by the Autonomous State Demand Committee (ASDC) demanding the Centre to invite it for a tripartite talk on creation of ‘Hill State’ passed off peacefully. During the bandh, which was also supported by frontal organisations – Karbi Students Association (KSA) and Karbi Nimso Chingthur Asong (KNCA) – there was no report any untoward incidents except for 100 picketers from Khatkhati and 15 from Loringthepi being picked up by police and detained for a few hours. 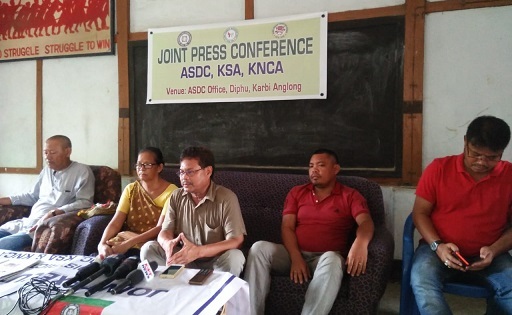 ASDC, KSA and KNCA criticized the general secretary of Asomiya Yuva Manch, Jitul Deka for filing a PIL at Gauhati High Court against the bandh call. Terang further said ASDC, KSA and KNCA have to call a bandh as the Centre is not responding to their demand. The ASDC wants statehood either as per provisions of Article 3 or Article 244 (A). Terang also informed that 100 picketers from Khatkhati area and around 15 persons in Loringthepi area, were detained by the police. On the other hand, Superintendent of Police (SP), Karbi Anglong Dr GV Siva Prasad told Northeast Now that the bandh was peaceful. The SP also confirmed that around 100 picketers from Khatkhati area and 15 from Loringthepi area were picked up by police and detained them for a few hours. The picketers were let free by noon. In the district headquarter town of Diphu, long-distance buses, commercial vehicles and public transport didn’t ply. All educational institutions, businesses and banks were shut. 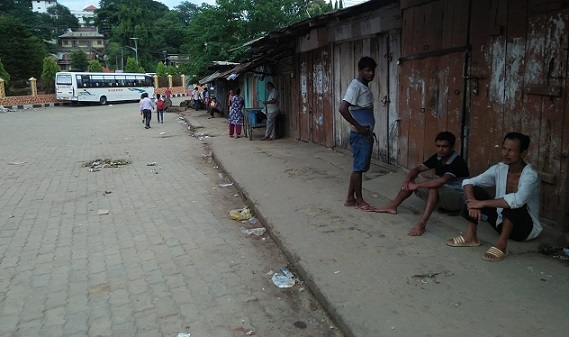 The response to the bandh was total in West Karbi Anglong and life came to a standstill. In Bokajan, the bandh was total. There was no traffic on NH 39.